After losing legendary figures like Chavo Guerrero Sr. and George “The Animal” Steele, this rough week of losing wrestling legends continues as today we have lost former WWWF Champion “The Russian Bear” Ivan Koloff at the age of 74. If you became a wrestling fan in the 80s like I did, you probably saw Ivan Koloff in the NWA as the older veteran/mentor figure to younger “Russian” wrestlers like Nikita Koloff and Krusher Kruschev; but if you were an older fan or enjoyed looking back at wrestling history, you knew Ivan Koloff was already a huge star prior to that time. Of course I used the term “Russian” above because like the other two wrestlers mentioned, Ivan wasn’t really Russian at all, but Canadian in actuality. Born “Oreal Perras,” Ivan Koloff was so good in his role as an evil Russian that I never once questioned his nationality being authentic. “Uncle Ivan” in the 80s was a driving force behind his Russian protégés, but in the 70s he shocked the wrestling world by becoming the man that ended the nearly 8 year WWWF Championship reign of Bruno Sammartino. While Ivan only held the title for 3 weeks before losing it to Pedro Morales, Koloff created an unforgettable moment in wrestling history as the historic Madison Square Garden was literally silenced by the seemingly unbeatable hero Sammartino finally losing his championship. Koloff continued wrestling in the WWWF off and on throughout the 70s and early 80s WWF while at the same time wrestling throughout various other territories. In the NWA, The Russians’ feuds with Dusty Rhodes, The Rock “N” Roll Express, The Road Warriors, and many others became even more memorable highlights of Ivan Koloff’s career. 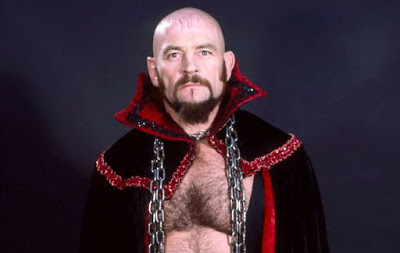 Believe it or not, Ivan Koloff actually became an ordained minister later in life and continued to make convention appearances in recent years. Sadly, Ivan was battling liver cancer toward the end of his life. Breaking News: WWE Superstar INURED at RAW Taping!